Farmers Market Fairy is not a weekly CSA, produce box delivery program, or larger corporate website delivery services. It is a boutique, customized, personal farmers market shopping service that has access to everything that is sold at the best farmers markets in Los Angeles. If it’s available, and in season, I can get it. You can order whatever you want, as much as you want, as often as you like. Simply give me a list of produce, and I will hand pick it from the finest farms. Not sure what you want, or need some inspiration? I can help you come up with an assortment that will satisfy your needs. 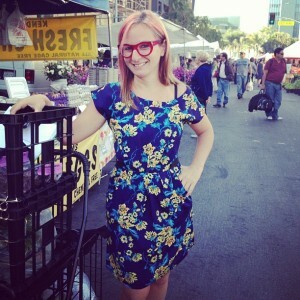 I am Linda, the Farmers Market Fairy! I have been doing all of mine and my clients grocery shopping at the finest Los Angeles Farmers Markets for years. I know exactly which farms to buy from and am an expert at choosing the highest quality and tastiest organically grown fruits and vegetables of each season. I shop at chef driven markets, so the produce I choose is often part of a specialty crop that you might not be able to get your hands on at other farmers markets or from another service.